Syfy has dug into what makes Martin's stories tick: Taking well-worn tropes and replacing the Pollyannaish idealism with pessimism. In space, no one can hear you die — other than a telepath. 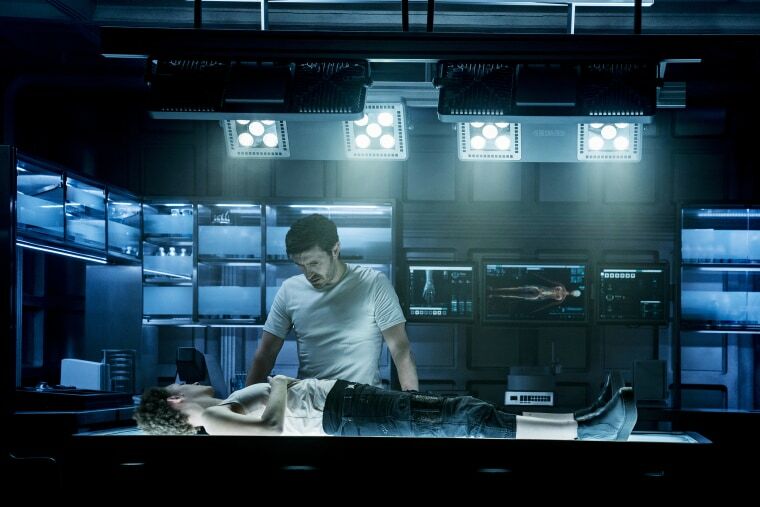 But bringing one along isn’t such a great idea either, at least not according to “Nightflyers,” the newest series from Syfy that premiered on Sunday, December 2. Based on the George R.R. Martin novella from early in his career, the show marks the channel’s latest attempt to return to its original science-fiction roots. The result is a solidly done saga that takes Martin's brand of nihilistic realism and applies it to the world of science fiction. Unfortunately, the ratings for the series’ first season suggest the “Game of Thrones” writer isn’t going to strike gold twice. Fortunately, while other channels tried to pick apart and replicate differing parts of “Game of Thrones, with varying degrees of success, Syfy has dug into what really makes Martin's story tick: Taking well-worn fantasy tropes and replacing the Pollyannaish idealism with a misanthropic pessimism. There’s only one small problem in Syfy’s otherwise smart plan: The network may have reached too far back in Martin's oeuvre for it to work. When “Nightflyers” arrived on bookshelves in 1981, the idea of mixing science fiction with horror was still new and novel. "Alien" had come out in 1979, but the sequel would not arrive until 1986. Nowadays, this sort of hybrid story is everywhere, from “Annihilation” in the theaters to “Origin” on YouTube Red. Call it “The John Carter Problem,” where a story which helped spawn an entire genre gets an adaptation long after the thunder of what it created has been stolen. Syfy hoped audiences would tune in because of Martin's name. But traditional TV ratings haven’t been good. The premiere brought in 620,000 thousand viewers, less than the season three premiere of “The Expanse,” which Syfy canceled due to low ratings. (It was rescued by Amazon.) The ratings haven’t improved episode to episode either. This may have something to do with the non-traditional airing schedule. Syfy is using an old-school miniseries format, releasing one new episode a night over a two-week period. By episode two, the numbers had already tumbled to 410,000, lower than the average for “Killjoys” season four. And even if the series doesn't on during its broadcast run, the show could get a second life on Netflix. The budgetary partnership between Syfy and the streaming service means the ten-episode season will arrive just in time for those looking for an alternative to joyous holiday fare. In the void of space, there are few winners but a lot of death. Happy Christmas.